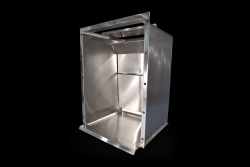 Our stainless-steel fume cupboard liners offer the highest level of fume extraction for sensitive and fume-generating laboratory work. 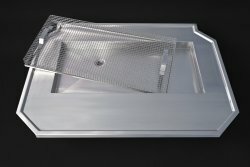 Made from 16-gauge, 316-grade stainless steel, our liners are resistant to extremes of heat and acid corrosion. 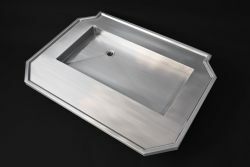 fully integrated stainless-steel bowls of virtually any size: these can be welded into the base. 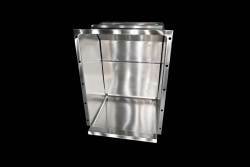 Stainless-steel fume cupboard liners from DSM are entirely bespoke. 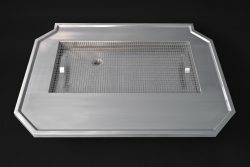 They are ideal for clean-rooms and other sterile environments, as high-quality steel is both naturally antibacterial and easy to clean. 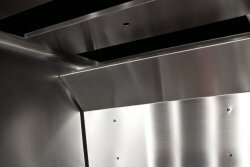 We use only radius internal corners throughout the construction, to avoid inaccessible corners in which germs, bacteria and chemical residue can otherwise be trapped. 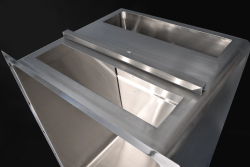 Our range of highly-customisable, laboratory-grade stainless-steel products also features; worktops, sinks and hand-wash basins (including recessed bowls, to prevent splashes); shower trays; frames; splashbacks and plinths; shelving and cupboards – plus any number of bespoke items, according to your requirements.